Facebook's first black eye was from "fake news." The social network's secretive algorithm enabled hoaxes and lies to reach millions of people during the US presidential campaign in 2016. Analysts were taken aback by the scope of the problem. Facebook (FB) vowed to make changes. 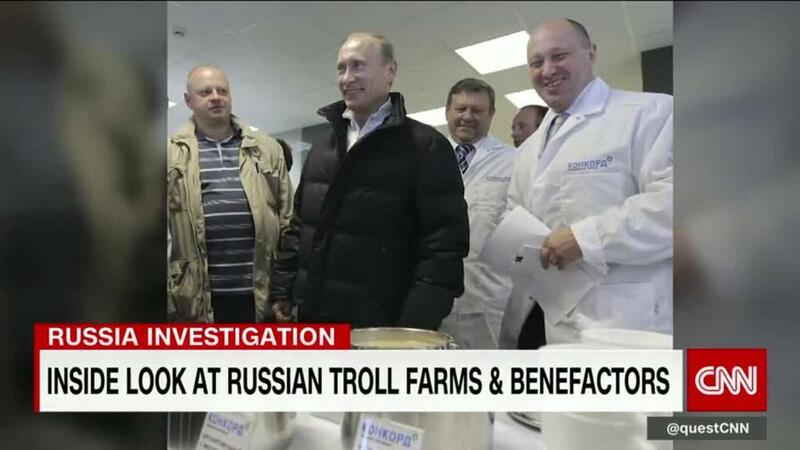 Then investigators found a pipeline of Russian propaganda. A so-called troll farm hijacked Facebook's platform to sow chaos and, eventually, to try to tip the scale in Donald Trump's direction. Lawmakers were outraged. Facebook vowed to make changes. Now the company is facing another embarrassing discovery. A joint investigation by The New York Times and the UK's Observer newspaper found possible violations of Facebook policies by Cambridge Analytica, one of the Trump campaign's data firms. The violations relate to Facebook user data that was harvested by a professor's research project and handed over to Cambridge. On Friday night, after "downplaying" the papers' findings, according to The Times, Facebook announced that Cambridge Analytica has been suspended from the site. Facebook said it asked that Cambridge Analytica destroy the data in 2015. Once again, Facebook is vowing to do better. But the latest round of stories may embolden politicians and other critics who want to see the company subjected to stricter regulation. To date most of those calls have come from Democrats, not from the Republicans who wield the most power in Washington. Robby Mook, who was Hillary Clinton's campaign manager, tweeted on Saturday, "Facebook should own up to how they created a serious strategic imbalance -- and, for the sake of both parties and all candidates, make sure this won't happen again." It's unclear how much political energy is really centered on these issues, however. James Fallows of The Atlantic wrote on Saturday, "In a normal political environment" Cambridge Analytica and Facebook "would be called in for public questioning." He added: "Of course, in normal environment, this wouldn't have occurred." For its part, Cambridge Analytica said in a statement that the data set revealed by The Times was not used "as part of the services it provided to the Donald Trump 2016 presidential campaign." But some experts have doubts about that. The new investigation reiterates how much happens in Facebook's dark corners. The bottom line: It's 2018, and we're still talking about how the sprawling social network was used and abused during the 2016 election. Facebook and its rivals are pledging to be responsible players in the 2018 midterms and future elections both in the United States and around the world. Facebook, for instance, says it applied lessons from the US election to combat misinformation during campaigns in Europe in 2017. The company's chief security officer, Alex Stamos, addressed the issue Saturday in a series of tweets. "There are a lot of big problems that the big tech companies need to be better at fixing. We have collectively been too optimistic about what we build and our impact on the world. Believe it or not, a lot of the people at these companies, from the interns to the CEOs, agree," he said. There are a lot of big problems that the big tech companies need to be better at fixing. We have collectively been too optimistic about what we build and our impact on the world. Believe it or not, a lot of the people at these companies, from the interns to the CEOs, agree. But the challenges are incredibly complex. New kinds of misinformation emerge all the time, and new ways to manipulate the algorithm are a constant threat. It's like a game of Whac-A-Mole with worldwide consequences. Facebook executives are trying to be more proactive — perhaps in an effort to fend off regulation. The company's representatives have been speaking at conferences and pledging to clean up some of the pollution on the site. Some of the changes are visible: Facebook is working with third-party fact-checkers to rebut hoaxes and trying to stamp out bad actors like Russian propagandists. But Alex Hardiman, Facebook's head of news products, acknowledged at a SXSW event last week that "we've got our work cut out for us." And that was before the data revelations that involve an entirely different side of the social network.